Dubspot NYC Has Grown! Time-lapse Video – 4 New Classrooms, Student Lounge w/ Reactable! 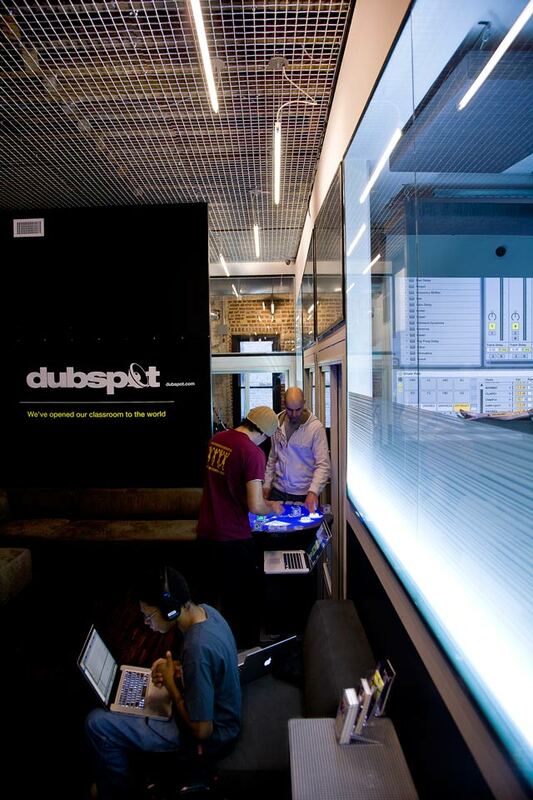 Over the past few years, Dubspot has grown from a single classroom in New York City’s West Village to a global institute, attracting students from all around the world. This rapid growth has led us to expand our course offering from Dubspot Online and build a whole new floor in our New York facility with four state of the art classrooms. 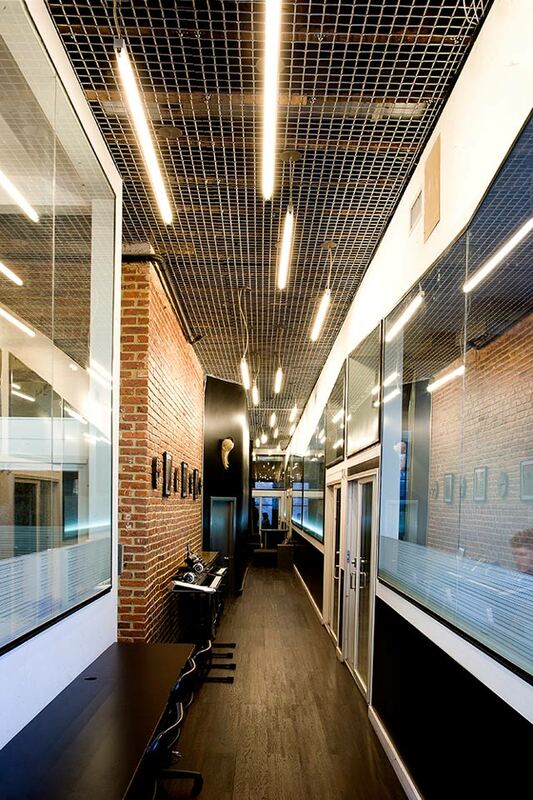 Each room is acoustically treated and equipped with the latest music technology for music production, sound design, mixing, software – based mastering and electronic music performance. Classes are kept intimate so that each student can work with our instructors to find and sculpt his/her own sound. We are very proud of our new classrooms and hope you will come explore them for yourself. In the meantime, take a look at this video along with the photos below to catch a glimpse of the expansion process and see what we have been up to. In this photo: The lounge area is where students from all around the world congregate to hang out in between classes and put some finishing touches on projects. In this photo: Our new third floor features four brand new music production classrooms along with a lounge and student workspace and offices. 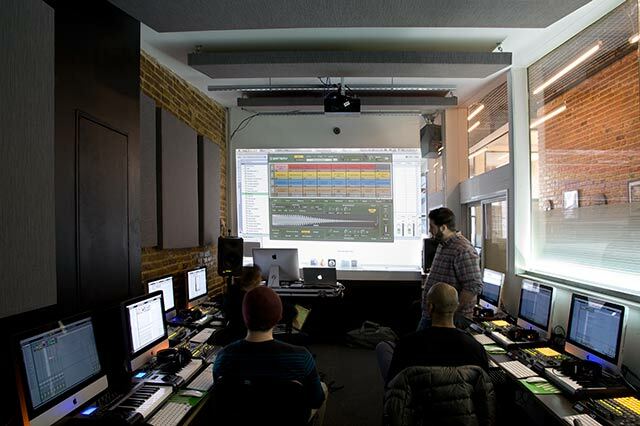 In this photo: Instructor Evan Sutton teaches students sound design techniques using Native Instruments Battery 3 in one of our newly renovated third floor music production classrooms. In this photo: Our main DJ classroom on the second floor features workstations for each student that are outfitted with the latest DJ and live performance music technology. 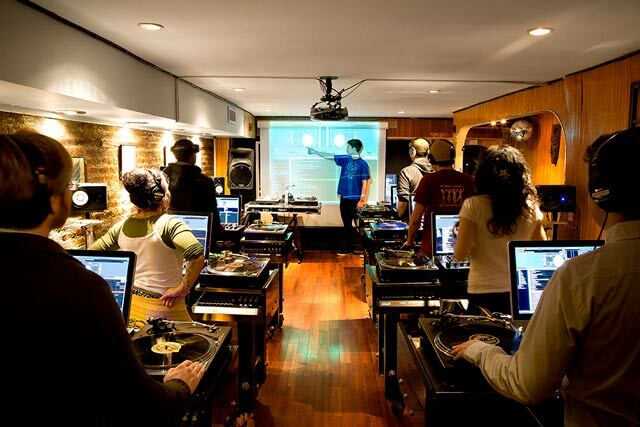 Here, students learn some fundamentals of DJing using Serato. 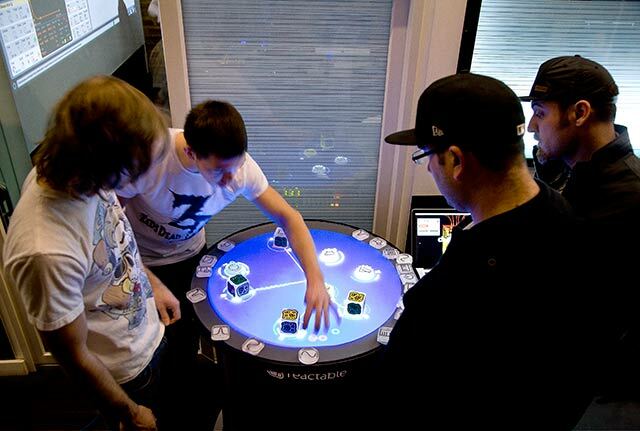 In this photo: Dubspot’s newly renovated third floor is home to the incredible “Reactable” live tabletop synthesizer. This is a musical instrument that is changing the way modern electronic music is produced and performed. Dubspot NYC is the only location in North America that features this incredible device where students can interact and collaborate with Reactable in between classes.